Gulf Fritillary - I love to photograph butterflies. 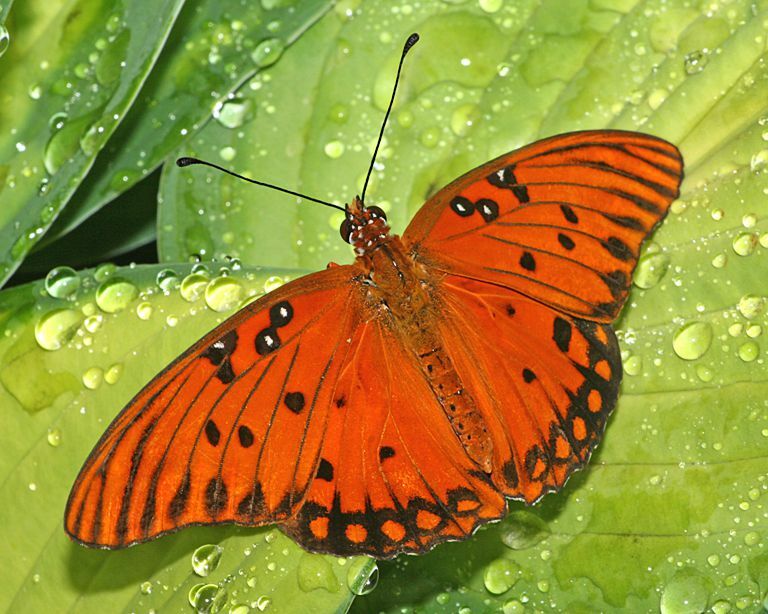 This Gulf Fritillary landed on a green leaf right after the rain, which presented a nice picture. This picture was taken in Van Saun Park, which is a local county park in Paramus, NJ. Date Uploaded: Oct. 30, 2010, 1:13 p.m.